The British Gazette » The Road to Brexit. The Road films, those seven comedy films starring Bing Crosby, Bob Hope and Dorothy Lamour were classics of comedy films. It was inevitable then that there are references such as “the Road to Brexit” insofar as the long running farce playing at the Palace of Westminster is concerned. The above allusion is of course to a play now however, the farce has been put online with a video presentation by none other than Madame Mayhem herself. The most egregious feature of this 6 minute 45 second broadcast is the terminologically inexact statement that the “Norway Option” for the UK would mean membership of the EU Customs Union. This is just plain wrong! HELP UKIP TO MAKE A BIG SPLASH IN BATH ! Saturday 29th September. British Gazette comment: Au contraire mon ami! 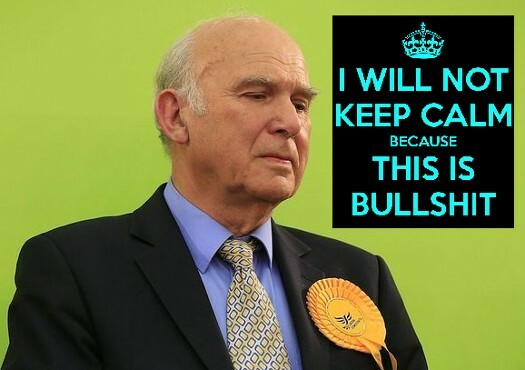 Given the level of misrepresentation one has to say that Sir Vince Cable is wholly justified in supporting the People’s Vote campaign. Such calls are legitimate and reasonable. It was interesting to witness the TV news report of Mrs Miller who addressed the conference suggest that a general election was preferable to a second referendum. We disagree. Time and uncertainty of outcome mitigate against this. Of course, when as is likely the second referendum is called your Editor will have no alternative but to spoil his ballot paper – for voting for the UK to continue being a member of the EU is unlawful as it causes Her Majesty “to govern in a peculiar manner” and voting for a hard Brexit would be voting for civil disturbance on the level of riots.